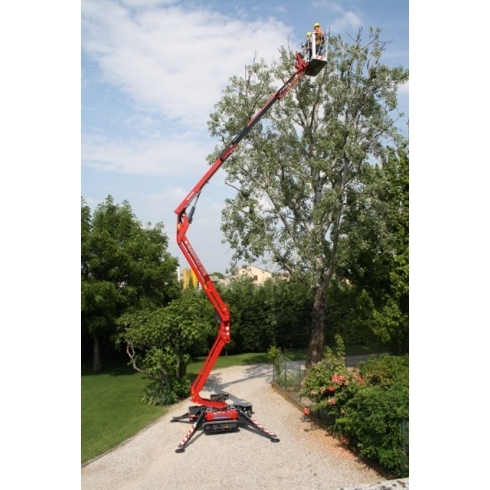 Powered access rental specialist JMS Powered Access has made a substantial investment in a fleet of Hinowa tracked booms powered by lithium-ion batteries. JMS has taken delivery of 11 machines from the Hinowa Lightlift Lithium series, including the 17m Hinowa Lightlift 17.75, 20m Hinowa Lightlift 20.10, and 26m Hinowa Lightlift 26.14. The company, based in Harpenden, UK, purchased the fleet from Access Platform Sales (APS), the authorised UK distributor for all Hinowa tracked booms. Mark Jackson, Managing Director of JMS said: “Lithium battery technology is an important advance in tracked boom development, especially in terms of using the machines for indoor applications. "Until recently, tracked booms could not be fitted with standard electric batteries, because their weight and bulk would compromise the key benefits of the machines – their lower point loading and compact size. 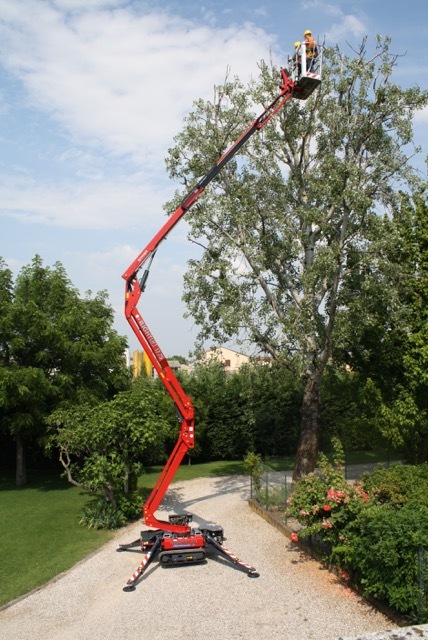 Hinowa Lithium machines bring an added flexibility to tracked booms. Their low ground pressure and superb rough terrain capability makes them ideal for estates management, construction and tree work. Powered by clean, quiet and maintenance-free lithium-ion batteries, they are also ideal for interior work in atriums, churches, stately homes and other historic buildings.